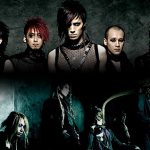 promotion website for Jrock Revolution, a multi-artist rock festival held in Los Angeles in May 2007. 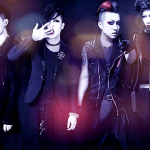 To reposition JRR.com from a single-event website to an all-inclusive Jrock destination site. 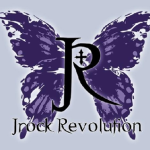 The success of the sold-out, groundbreaking rock festival generated so much site traffic for JRR.com that it was decided Jrock Revolution would expand into a destination site for the international Japanese rock (Jrock) fan community. This would require judicious brand positioning, as many entertainment outlets already covered the Jrock scene. EINSOF Marketing Group came on board as a brand management company to completely manage, develop, and oversee brand operations. 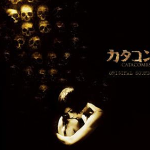 Successful launch of JRR.com as a competitive top Jrock destination site would require not only original content, but also extensive rebranding to retain and grow the site audience. Our team provided JRR with all marketing, development, and content production services, which resulted in the creation of content, community, and social media features that rivaled competing sites. We also promoted the brand through media partnerships, special events, street teams, and cross-branded opportunities and events. 2 initial campaigns at Anime Expo in Los Angeles, CA and Otakon in Baltimore, MD generated a mailing list of 8,000 names. We used this mailing list to send out e-blasts and reminders for promotions, contests, and new site features, pushing unique traffic to the website. As our client desired fresh content updates for the site three to four times a week in order to engage the Jrock fan community, we flew our team to Japan to acquire media partnerships and establish relationships with Japanese management and record labels. We recruited writers and created contests exclusive to the site to keep the material interesting and unique to our visitors. To set JRR.com apart from all of its competitors, we chose not to replicate readily available information, but instead populated the site with exclusive features to create a uniqueness few competitors had. In the 6 months that we worked to reposition JRR.com as a trusted site for news and information, we experienced averages of 150,000 to 300,000 unique hits, with peaks upwards of 600,000 during huge promotions or exclusive features. Our efforts in establishing JRR.com as a community site for Jrock fans were very successful; our forum had over 10,000 regular members, 6,000 of whom posted on a consistent basis. Our team was so successful in our content and network development strategy that our content outpaced the website’s ability to support it. In effect, we successfully outgrew the website.